It is no secret that the longer humanity goes on, the more we become reliant on electronic technology to survive and keep on going. As I see it, there are two main fears associated with technology: the fear of it gaining sentience and turning against us, and the fear of losing it completely. While it does seem outlandish at this point in the real world, I’m sure you've wondered more than once what would happen to the world if all electronic devices were to be disabled. Would we all revert to living in small tribes? Would we band together and try to rebuild? Would we go to war with each other over the little resources we have left for being unable to grow food and obtain water by ourselves? Would people care about money? Will there be anyone left to make alcohol? Well, it seems that these thoughts crossed the mind of Ray Gorham, and so he wrote about what he imagined would happen in his novel titled 77 Days in September. To give you a brief overview of what it’s about, it basically follows the adventures of a simple man named Kyle Tait. As he was about to leave America, a nuclear bomb explodes in the air 300 miles above the center of America, sending an EMP (Electro-Magnetic Pulse) blast which kills every single electronic device in the country. Kyle’s place barely took off when the blast hit, allowing him to survive the impact. However, a great journey awaits him as he now has to travel across the country to get back to find his family. So what does this seemingly-epic adventure have in store for you, the reader? Well, the narrative is actually split between Kyle’s journey and the hardships his family faces while trying to survive by any means possible. Needless to say, this book offers a very comprehensive look at how far human depravity can take us when each is left to fend for his or herself. You get to witness how humans revert to an increasingly primal stage as their main focus isn't centered around making money or leisure… it’s centered around getting enough food and water to survive another day. However, it doesn't mean the world is completely deprived of kindness; as many people are trying their best to preserve their humanity, to preserve what little is left of their country. All in all, 77 Days in September is more of a character study than a story-geared novel, as it theorizes how people would react in this type of scenario. Every character is well-defined and has characteristics that set him or her apart from the rest of the cast. Apart from the nuclear bomb part, the plot feels like it’s entirely grounded in reality; you get the impression that the events described within could definitely unfold in our world. The pace may be one of the best technical accomplishments in this book, as it seems to have hit the sweet spot, never going too fast but never dragging on either. 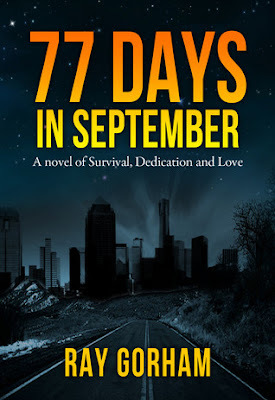 77 Days in September is an amazing piece of literature, one nobody should miss out on, at least in my opinion. Ray Gorham is a Canadian writer born in Calgary and living in Billings, Montana, who enjoys the simple life in the company of literature and his family. So far, he has one published work, 77 Days in September, which he co-authored with Joseph Morton. 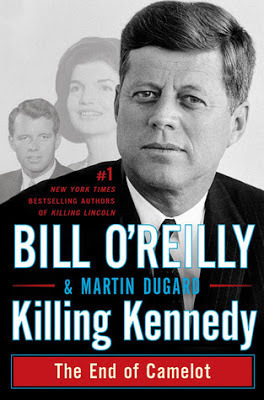 Author of the widely-successfully Killing Lincoln, it seems that Bill O’Reilly and Martin Dugard have a sort of fascination with assassinations on presidents. First, let me assure you that his works are not works of fiction; Bill seeks to examine and analyze the events he writes about, putting together a coherent and plausible history of what happened. Naturally, Bill doesn't stop with the assassination itself, as he also goes beyond it, describing the kind of impact the assassination had on the American people, both in Lincoln and Kennedy’s case. As most (if not all) of you know, in 1963 John F. Kennedy was assassinated via rifle shots, in Dallas, supposedly by Lee Harvey Oswald. I've reviewed a few of Grisham's works before, like his classic The Firm and one of his best-selling novels, The Racketeer. I’ll be honest in saying that I may have given the author a bit more praise than he deserves; many people see him as being to books what Hollywood is to movies. What do I mean by that? Well, while his books are always full of action and have a relatively intriguing story, many of them lack originality and deeper meaning. However, that is not to say that it’s a bad thing… after all, we all need this kind of entertainment from time to time. 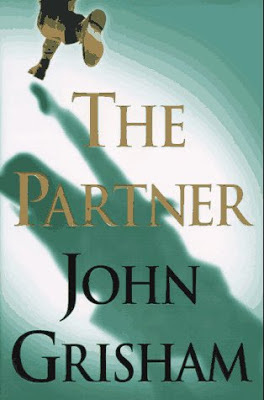 Today, I’m going to go into The Partner, what I believe to be one of Grisham’s best novels on the originality and intrigue front. To give you an idea of what it’s about, what follows is a brief overview of the story. Patrick Lanigan literally had it all: a great job, a loving wife, and a beautiful new daughter… his future couldn’t be brighter if thousand suns chose to shine on it. However, as is always with interesting stories, things take a drastic turn for the worse when Patrick gets into a car accident, during which he apparently becomes trapped in his own car and burns to death. They buried nothing but his ashes, and as they did so, Patrick watched on… not from the Heavens, but from a short distance away. Not long after the burial a huge sum of money is stolen from the offshore accounts of the company Patrick used to work for, after which ensues a wild chase. However, when Patrick is finally found, he is living a very quiet and modest life on the streets of Brazil, with the stolen money nowhere to be found. For starters, I’ll have to admit that I’ve always liked mysteries which don’t make much sense, at least in the first place. Right off the bat, in Grisham’s The Partner there are a few instances of that. For example, how did Patrick manage to survive so well when he was described as burning in the car? Could it be a twin? A vision? A dream? All pre-planned? Who knows… Also, when Patrick is found in Brazil living under the name Danilo Silva, where did all his money go? Did he spend it? Did he ever actually have it? Does the book’s title come into play and Patrick actually has a partner he can trust as much as himself? Rest assured, many more questions such as these pop up, and in classic Grisham fashion, you’ll be getting complete closure. All in all, if you’re a fan of Grisham’s works during the 90s, or a fan of him at all as a matter of fact, then I definitely recommend that you look into The Partner one of his most highly-acclaimed and popular novels. 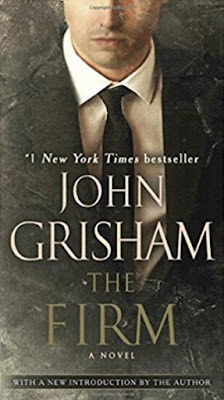 I’ve already reviewed a few of John Grisham’s most widely-acclaimed works (A Time to Kill, The Litigators and The Racketeer), but I have yet to really touch on some of his earlier successes, and The Firm is without a doubt one of them. As a matter of fact, this is the book that put Grisham on the map for many avid readers seeking a breath of fresh air amongst a sea of recycled, cookie-cutter stories. In any case, just to give you a brief idea of what the book is about, it follows the story of Mitch McDeere, the top student of his class at Harvard Law. He had the ability to choose to work for any company, and in the end he decided to sign on with Bendini, Lambert & Locke of Memphis. At first, it seemed as if he made the right choice: he received a BMW, all of his academic loans had been paid off, a mortgage has been arranged for a new and beautiful house, and they even threw in a decorator to help him get settled into the place he really wants. As you can guess though, something is far from being right. In the last fifteen years, five lawyers working for this company found their way into body bags. As it happens, the company is far from being a normal one as it was brought from the ground up by the mafia for massive money laundering operations. At this point, the FBI sees Mitch as being their way of bringing the enterprise down, and they ask for his help, leaving him stuck in a position where only two options seem viable: prison or death. In my opinion, what makes The Firm a truly fascinating piece of literature is John Grisham’s ability to precisely describe how the mafia set up their scheme and precisely how it works, from the lowest levels to the highest. Every single procedure part of the scheme is given importance and treated as a big event by John. To be frank, as much as we would like to say we do, an overwhelming majority of us simply don’t know how organized crime would work at such a level… I don’t know if Grisham does either, but he sure does a phenomenal job at depicting a very believable portrait of it. Apart from this aspect, the story is also quite intriguing in the sense that it puts a character in one of those rare, real-world situations where someone is truly stuck between a rock and a hard place. It is known that certain people have gotten accidentally involved in the never-ending war between criminal organizations and law enforcement, with each side wanting those people to serve their purposes. Very few people have successfully managed to walk away unscathed when either helping the mafia or the police in the war. Anyways, what I’m getting at is that it is a true pleasure to watch a truly intelligent character try to figure is way out of this bedlam; he knows he only has a limited number of moves before his time is up and he needs to fully commit to one side or the other, and he really does make the most of them. The best way I can describe this is by comparing it to a combination of cat and mouse, chess and a Mexican stand-off… I know that doesn’t make much sense, but from a big picture, that’s precisely what they look like. Anyways, I’m going to stop before giving anything away, but I’ll just say that this is an amazing story that can’t be classified in one literary genre. I recommend simply forgetting about all conventions, what things are supposed to be like, and simply give yourself into the story and the world it’s happening in… as a matter of fact, that approach will make literally (almost) every book much more enjoyable. 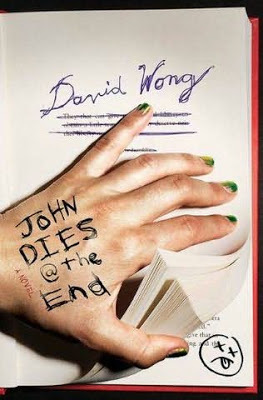 “John Dies at the End” by Jason Pargin (David Wong) – Heaven or Hell? It has been a while since an author has really tried to break down what we consider to be conventional and venture into unknown territory where the craziest things can happen. Well, actually, you can scratch that as Cracked.com editor Jason Pargin (David Wong) wrote a genuinely twisted story with John Dies at the End. The whole plot of the book is centred around a substance called soy sauce, and of course, video store clerk David Wong and his friend try it. As they believe it, the soy sauce allows them to tap into some kind of higher level of consciousness… or perhaps the soy sauce is hell taking over the Earth. For starters, what’s special about the story is that you don’t know what’s real and what isn't. Over the course, it’s up to you try and decipher as to whether or not the dudes are just tripping balls, or if there are actual wig-wearing scorpions and wingless flies that burrow into human skin. Has the soy sauce given these two dumb-asses the ability to see what life is truly like? Are they simply the first witnesses of what happens when Hell comes to Earth? Are they actually going to do anything about any of it? Will there be a multidimensional battle? Does John really die at the end? That’s for you to find out… while it sounds ridiculous, you’ll see for yourself that the more you get into the story, the more the above-described things will seem normal to you. Another aspect about the book which I absolutely adored was the way in which Wong managed to mix horror with humor. Certain parts of it are simply laugh-out-loud funny, whether it’s dark humor or good old-fashioned slapstick. However, other parts of it are downright terrifying, making you forget that you laughed non-stop just a few minutes ago. This is a story which can be genuinely scary if you let yourself get absorbed by it. Also, I have to add that I tremendously appreciated the myriad of clichés from pop culture that the characters battle their way through, ranging from stuff you’d see in video games all the way to fantasy films. All in all, there’s way too many things going on in this book to talk about all of them without writing a giant essay about it, but rest assured that they all blend seamlessly into that crazy world David Wong created; it has just the right amount of laughs, scares, soy sauce, and time paradoxes… it’s definitely something most people are going to enjoy, regardless of race, age, gender or species. Jason Pargin is best-known by the pen name of David Wong, which he used so far to write two novels, John Dies at the End and This Book is Full of Spiders, as well as a number of articles on the website Cracked.com. It should be mentioned that the former of the two books mentioned was adapted into a major motion picture in 2012. In modern times, as you can surely see, technology is developing faster than it ever was before. Only a few decades ago computers were the size of elephants and took up giant rooms to store a few megabytes of data. Today, we have computers the size of our hands capable of storing dozens, if not hundreds of gigabytes of information without a problem. However, what’s scarier is the progress done in robotics and nanotechnology; not only are computers becoming tremendously more powerful and capable than humans, but they are also slowly taught to process information and understand things on the fly. It might not sound like much, but if you ask me we’re not too far away from a Terminator reenactment. 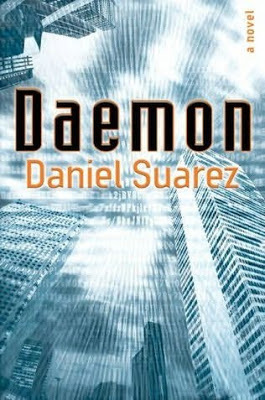 In any case, in Daemon by Daniel Suarez, we are thrust into a world where technology controls pretty much everything it can control. However, there are many self-regulated programs referred to as “daemons”, and as you can guess, one of those daemons was designed put an end to human society and put in place a new world order. As the daemon tries to achieve its plan, a group of unlikely teammates work long and hard do decipher it, stop it, and understand what the heck is going on in the first place. To be frank, I’m not a big fan of futuristic, science fiction novels, but this one seems to have hit home with me as I harbor a certain prejudice against such rapid chronological progress. Daemon provides a very interesting look at what would actually happen if we were to place our fates in the hands of computer programs… and what would happen if one of them were to try to wipe everything out. Of course, this isn't some philosophical essay; it is all told through an interesting story populated by colorful characters who learn and adapt to living in a society where their fates are controlled by the will of machines. Also, the book reminded me of the War on Drugs and the War on Terror (and war on any other kind of concept) as the protagonists are pitted against a faceless enemy who cannot be destroyed by any conventional means. I’m not going to debate about whether those wars are worth fighting or not, but I’ll just say that’s interesting to see the line of thinking characters follow when facing an abstract enemy. All in all, if like science fiction novels, an exploration of the way machines dominate our daily lives, or anything to do with rogue A.I. programs, then I’m pretty sure Daemon will be very much to your liking. 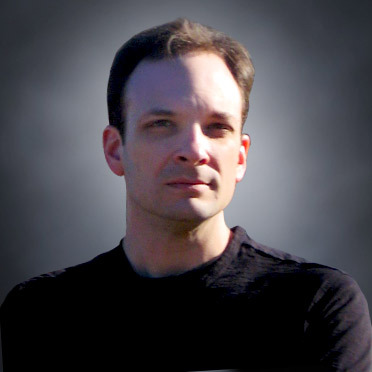 Daniel Suarez is an American author and information technology expert and consultant. Needless to say, this professional path he traveled before taking to the pen has influenced his writing quite visibly, always having his stories revolve around technology one way or the other. Some of his better-known works include Daemon and Kill Decision. 1942: The United States are knee-deep, like many other countries, in the Second World War. A captain of the U.S. Navy, Lawrence Pritchard Waterhouse, is seen as a real mathematical genius and prodigy, one who knows no equal. He is assigned to detachment 2702… a detachment so secretive that only a few people even know of its existence. With the help of detachment 2702’s commander and Marine Raider Bobby Shaftoe, Waterhouse is set on a mission, with the objective being to prevent the Nazis from finding out that the Allies have cracked their Enigma code. A game of cat and mouse ensues between Waterhouse and his equal over at the German side, and three years later the war reaches the inevitable conclusion we all know: nuclear bombs. Waterhouse lived and prospered long after the war was done, even to the point of having a grandson by the name of Randy. As it happens, Randy has somewhat followed in his grandfather’s footsteps, becoming a crypto-hacker. However, instead of fighting Nazis, Randy has a dream to achieve: the creation of a virtual place in Southeast Asia where all encrypted data could be kept and publicly accessed, free from having to follow any laws. Needless to say, this is the kind of thing which pisses off governments and multinational companies, and soon Randy finds himself way outnumbered in his battle to create a "data haven". Fortunately, Mr. Shaftoe also had grandkids, with one of them being Amy. As you can guess, Randy and Amy decide to team up together, and after much research, they come to the conclusion that they need the unbreakable Nazi code Arethusa to secure their data haven’s existence.Naturally, things are far from being simple: the code is aboard a long-sunken Nazi submarine, on top of which certain people are hard at work to keep the submarine where it is. As Randy and Amy come closer and closer to holding the key to their haven’s salvation, they start to uncover a vast governmental conspiracy which stems all the way back to, you guessed it, detachment 2702. In the end, Randy and Amy are thrust into a situation where their decisions have an unimaginable impact on the future; they could be leading mankind to a new, golden age… or they could plunge the world into totalitarianism…All in all, Cryptonomicon, the first volume of Neal Stephenson’s masterpiece, is simply a breathtaking piece of work to behold. Despite the fact that much of the action happens in the form of battles of wits, the story manages to be very engaging and dynamic, never dragging on more than it needs to. The focus keeps on shifting from the past to the present, going from World War 2 to Randy and Amy’s attempt at changing the world. Apart from giving us a good story though, Neal also takes great care to look into what his characters are thinking, how they reason, why they do what they do, what their private desires and obsessions are... it seems that above all else, Neal Stephenson is trying to crack the human code in an attempt to find out what makes us who we are. 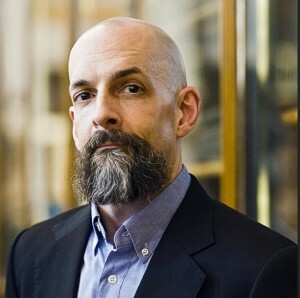 Neal Stephenson is an American writer and game designer whose many novels have touched on science-fiction, cyberpunk and historical fiction. Some of his better-known novels include Snow Crash, which earned him a nomination for the Clarke Award, and Cryptonomicon, which won him the Locus SF Award and the 2013 Prometheus Hall of Fame Award. The South of the United States of America hasn't always been known as being inhabited with people open to cultural diversity (and that's a big understatement). Even today, in some places, especially smaller, rural towns, racial tensions are still alive and boiling... and John Grisham guessed it would be the perfect setting for a tense courtroom drama centered around a little girl and what her father did for revenge. On a night like any other, a black girl in the town of Clanton, Mississippi was victimized by the heinous acts of two young, drunk and reckless men. They performed unspeakable acts on her, to the point where the entire town talks only about what happened. Naturally, the girl's black father takes it worse than anyone and decides that the only thing left to do is to take the law into his own hands. And he does that by getting an M-16 rile from a hoodlum he had saved in Chicago, after which he guns down his daughter's assailants, right on the steps of the courthouse, dramatic as ever. However, the father is far from being alone in this battle; Jake Brigance, a young attorney, is doing everything in his power to save his client not only from being persecuted by the law, but also by the close-minded inhabitants of Clanton. While I'm not a terribly big fan of courtroom dramas (12 Angry Men and Primal Fear being the only ones I saw or read), this one really stuck with me. One of the reasons why is the amount of work put in making the whole event come to life. 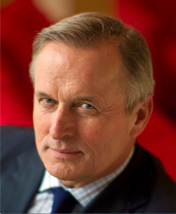 While John Grisham was meticulous with his descriptions, it wasn't like what most authors are trying to do; he didn't dwell too much on the unimportant elements and it felt like every description brought something to the story, whether it was vivid imagery or another layer of meaning. Also, it shows that the novel has been polished beyond human expectations; each word, action and reaction has been carefully crafted to be a natural part of the fascinating world Grisham has built in the story. As for the story itself, it is quite captivating, and I found myself struggling not to read the ending more than once (I'm usually very patient), so make of that what you will. All in all, A Time to Kill may be Grisham's best piece of literature (in my opinion, at least), and any fan of his or courtroom dramas should take the time to check him out. The year is 1987 and June Elbus lives a life closed off from practically everyone else. The only person around whom she can feel and be herself is her uncle, a renowned painter by the name of Finn Weiss. Apart from being her grandfather, he was also her confidant and her best friend; he was the bright light in June’s life. Unfortunately, Finn falls victim to some kind of mysterious illness one day and departs from this world, leaving June all by herself (metaphorically of course). However, what June doesn't realize is that the story is only beginning, as a man whom she saw hovering indistinctly at the back of the crowd sends her a teapot from Finn’s apartment; the stranger’s name is Toby. Along with the teapot Toby sends an invitation to June, expressing his desire to meet her. Somewhat reluctant, June finds herself enthralled by this turn of events and accepts to meet the stranger. As the two start spending time together, June realizes that Finn was to Toby what he was to her: perhaps the only person capable of understanding. Over the course of the novel June and Toby grow closer and closer, trusting each other and making the most of this unexpected friendship which was formed when the two needed it most. 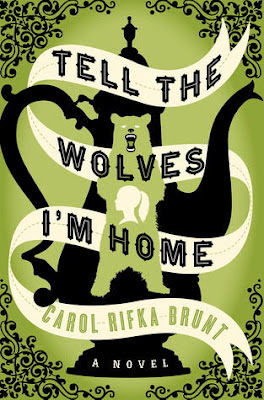 Carol Rifka Blunt’s Tell the Wolves I’m Home is a very heavy novel, at least from an emotional perspective. It is more of a character study than a story, examining how June and Toby, two lost souls, find compassion for each other in what is perhaps the darkest moment of their lives. All in all, this is an unforgettable coming of age novel which wants to show us that while love can be lost, it can be found again, and that compassion is what truly makes a human being worthy of living. Though she may have been born in New York, Carol Rifka Brunt has decided to make the move to England with her husband and children. Her works have received lots of praise from various newspapers and magazines, not to mention that her only novel, Tell the Wolves I’m Home, has become a real hit around the world.